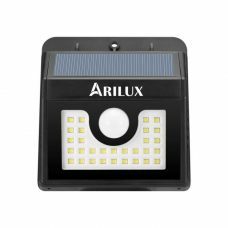 Outdoor Bright 10W 66 COB Solar Powered Security PIR Motion Sensor Light with wide lighting angle is a true gem in ARILUX® collection. 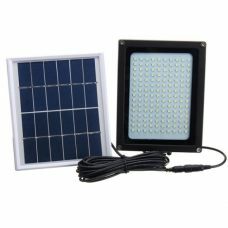 Solar Panel with high energy conversion rate in combination with Powerful Lithium Battery and PIR Sensor provides reliable long-term wide angle emergency & security lighting and is ideal for illuminating even large outdoor areas around the residential or commercial property. 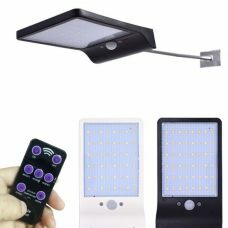 Outdoor Bright 10W 66 COB LED Solar Powered Security PIR Motion Sensor Light with wide lighting angle is an advanced DIY ARILUX® product with multiple features. It is fully operated by solar energy with an efficient solar panel with high energy conversion rate in combination with a powerful built-in rechargeable Lithium battery. The side COB's (Chip on Board LED type) provide a wide spread of light and is ideal for covering large areas. The product designed for outdoor use with IP65 protection rating and does not require any additional electric wires or other sources of energy that. 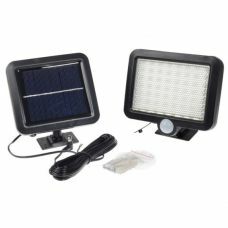 Solar powered light has built-in automatic daylight sensor and also Smart PIR Motion Sensor with pickup range up to 10m and 120 degrees. 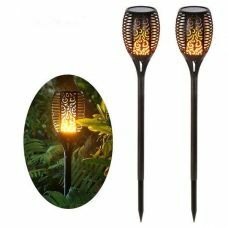 The outdoor lighting product has two operating modes such as PIR Sensor with Full Brightness On and PIR Sensor with Half brightness. That allows customizing operation to match your environment. 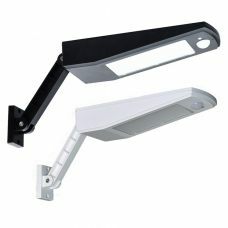 Solar wall sensor light is easy to install. 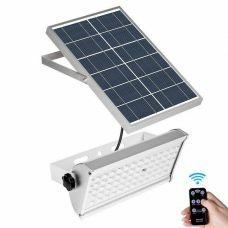 The self-contained water- and weatherproof light does not require wires and can be easily screw mounted anywhere the sun shines including the wall or fence of the home, garage, garden, shed, in the warehouse, basement etc. The device is a low-maintenance and cost-efficient Solar Product that provides outstanding performance without additional maintenance. 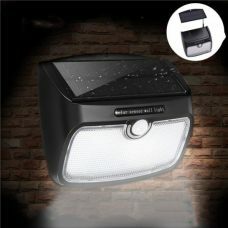 - Bright illumination supplied by 10W 66 COB (Chip on Board LED type) bulbs with built-in rechargeable Lithium Battery. 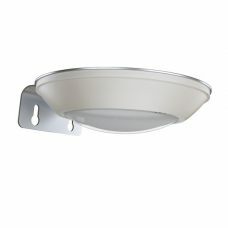 - Wide lighting angle from three sides of the light head allows covering larger outdoor area. - Two lighting modes including Full Brightness On and half. - Smart Motion Sensor activated within the range up to 8-10m. - Easy to install, setup and operate. Can be fix to almost any surface including bricks, stucco, wood, metal, etc. with screws provided. Automatically turns the light off during the day and will only turn it on (100% brightness) when it senses movement at night. The light will turn off after 15 seconds if there is no further activity present. Automatically turns the light off during the day and will only turn it on (50% brightness) when it detects movement at night in a certain range. The light will turn off after 15 seconds if there is no other motion detected. Ideal for: The product delivers Bright wide angle reliable long-term lighting and is ideal for illuminating large outdoor areas around a house, garden, garage, basement, fence, patios, yard, roof, stairway, driveways and other places including any residential or commercial properties. Adjustable lighting modes help to maintain the brightness of the device that can prolong the battery life over the night. For whom: for someone who is looking for a smart and efficient way organize and maintain lighting around a property for a variety of purposes from convenience to security and protection. When the light just arrives, I was expecting much largel lamp in size. But when I start using it I was very impressed how bright the little solar light can be. So thumbs up! This is very bright light and it is quite sensitive for movement. I'm having trouble with the light turning on every time tree branches in front of my porch are moving. It would be good if the product has some adjustment so I can reduce the sensitivity. Or am I too picky?) Beside that it is just perfect!